A Dead Body, A Cryptic Clue—Will Jo Oliver Solve the Riddle in Time? Police Chief Jo Oliver needed a little time to herself. But when her escape to Wisconsin turns deadly, she teams up with FBI agent Nick Vitarello, hoping to catch the Bow Tie Killer. Their romantic past and complicated present leads them into uncharted territory as they match wits with a psychopath bent on destroying everything they hold dear. The characters. This is not a super long book, yet the author somehow managed to introduce all of these different characters and flesh them out. By the time I finished the book, even though it wasn’t the first one in the series, I really felt like I had a finger on everyone’s personality. I didn’t get confused and I wasn’t overwhelmed. Relationship focused. 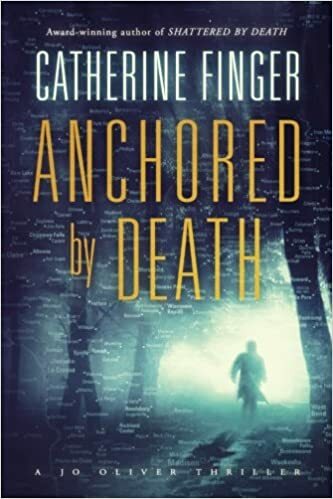 I will admit that I like my romantic suspense to be more relationship focused (doesn’t have to be romantic relationship) than mystery focused and we get that here. A little too much, but it was definitely more my cup of tea. The romance. Alas this is book three, so I didn’t see the romance develop, but that actually didn’t bother me. I enjoyed watching Jo and her guy together. I will be honest and say that because it was the third book, at times I didn’t get why there was any hesitation on Jo’s part. But Jo and her guy together made the book shine. I really like when couples can respect and work together. 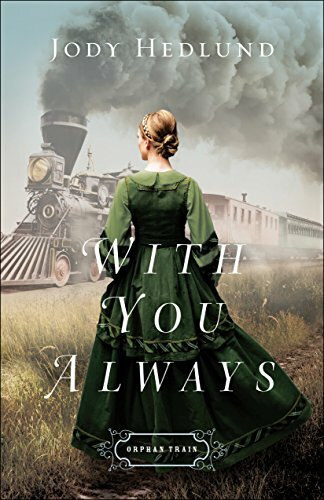 Spiritually, Jo is learning what it means to trust the Holy Spirit and I loved how several times throughout the book, she stops what she is doing and prays and seeks guidance. Crime-solving Jo. Again, this is not necessarily something I disliked, but Jo was portrayed as this awesome detective, and yet she continually needed rescuing and technically, she didn’t really solve the mystery. And let’s not address all the men who were in love with her. This might be because I jumped into the middle of the series, but I really wanted to see her get things done so-to-speak. Overall, a very cute series. If you like romantic suspense, check this one out! One thing that I really like about this series, is that if you’re very familiar with the Bible regarding the Israelites flee from Egypt and time in the desert, you’re very much rewarded. 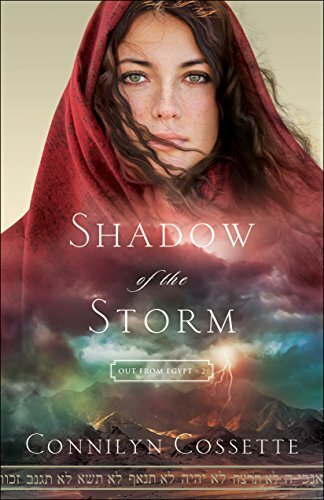 The author has done a fabulous job of having a story that integrates what is happening in the Bible and teaching you about the Israelite culture—all at the same time. I like the lense that we get–through Shira–of what’s happening with the Israelites. You get to see how events not only possibly affected them, but how they lived day by day. The writing. Honest to goodness, I sat down to read one chapter and pretty much finished the book. Kudos to the author for writing a book that drew me in and kept my attention. Shira. I really liked her as a character because she’s kind and caring and thoughtful. And there just aren’t that many heroines out there like that. I will say, there were times I wish she had a stronger backbone, but I recognize that that was part of the journey that she was on in this book. Spiritually, the novel focuses on not allowing fear to hold you back and what love and forgiveness looks like. The romance. It didn’t work for me for several reasons. One, Shira is very cautious of men and has a good reason to be, however, she gets over her cautiousness very quickly with the hero. It’s not that that’s a bad thing, it’s just that it appeared that one second she was afraid of him and the next she really liked him. I didn’t know why. Secondly, the relationship started off based on misconceptions and lies. This meant that Shira and her hero fell for each other over long extended looks and sighs. That just didn’t work for me. Several times a character was like, ‘let me tell you something’, and then someone would randomly enter the tent, stopping the conversation. This just doesn’t work for me. If most of your problems in a relationship can be solved with one conversation than their is no problem in your relationship, ergo, it drags upon reading. Lastly, the hero was a bit of a loser. I’m sorry, but it’s true. It’s alright to have a past, but it works better for the hero if he steps up and owns it rather than being all sneaky. I kind of didn’t trust him. Overall, a very good book. 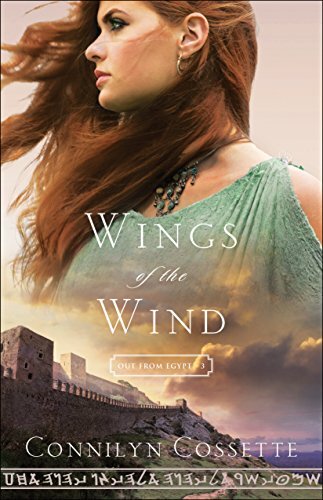 I will admit that I’m not a fan of the way the author wields romance in her books, but I love the way she tells a Biblical fiction story. Definitely worth reading. Elise. I could appreciate her hard-working ethic and her desire to keep her family together. Elise doesn’t start off in the book with the best outlook on God, but it made sense. She wasn’t overly bitter, she was just incredibly frustrated. Life had dealt her some hard cards and things don’t appear to be getting easier. Nevertheless, she’s really easy to like. She’s extremely caring and extremely loving–even to her own detriment at times. But she was a reliable heroine in the sense that you could trust her to fix her mistakes if she made them. Thornton. He was a sweetheart. He’s clearly placed in a ridiculous position (what kind of parent does that to a child?) and he does his best to get-her-done. I really liked that Thornton isn’t about keeping secrets and lies, in the beginning, it just sort of happens because he never thought to meet someone like Elise. But, I also like that once he sees where things are going, he comes clean. He changes and he grows into a wonderful hero. The plot. I will admit, I saw orphan train and thought: yawn. But it’s not about a bunch of little kids. This book is about people surviving in a Depression and working hard and making sacrifices and learning that just because people are different doesn’t mean that they are not worthy of an opinion. While it was predictable in parts, it was thoroughly enjoyable. The romance. Thornton and Elise are obviously attracted to each other from the first, but they still take time (or rather or forced to take time) to become friends. Their relationship is grounded on trust and conversations and facing hard situations together. Loved it. Spiritually, the themes of the book are learning that God is trustworthy and I would say, taking a leap of faith. The only thing I didn’t like was the ending. It literally just ends. The only way this works is if book two picks up right where this one finished because otherwise that was a disappointing end. Overall, read this book! Start this series! You won’t be disappointed.